Thank you to HESS Toys for providing me with product in exchange for my honest review. All thoughts are my own. Planes, trains, and automobiles. If you're a boy mom, you've probably grown accustomed to having all of the above scattered about your living room at some point in time. My son (now age 7) was about two years old when his obsession with cars and trucks began. I don't recall playing with a lot of cars or trucks when I was growing up, so it's been a lot of fun for me to experience these toys with my son... after all, they really are a blast to play with! 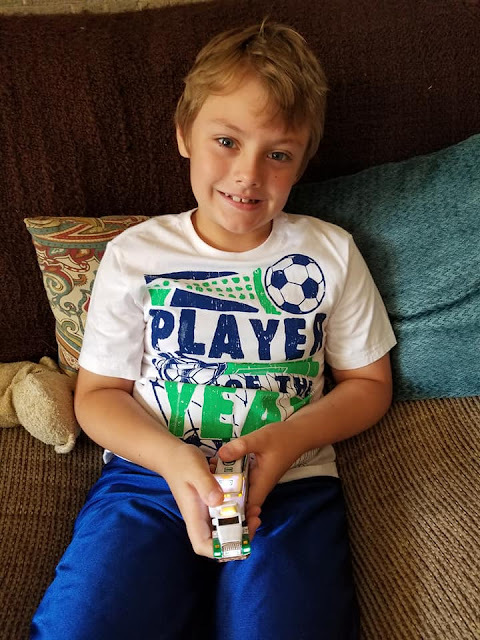 B is growing up, but still loves his collection of toy cars, and has introduced his sister to the world of fun that lies within toy automobiles. This summer, we're excitedly celebrating the release of the 2018 Mini Collection from HESS. For decades, Hess has created unforgettable family memories and traditions with its Hess Toy Truck each holiday season. Now, as Hess reaches this milestone anniversary, Hess Toy Truck is celebrating by announcing three new toy releases this year, which will have kids, adults and collectors buzzing with excitement. Can you believe that HESS has been around for nearly 85 years? I'll bet you won't forget that the next time you pass a HESS truck or gas station! 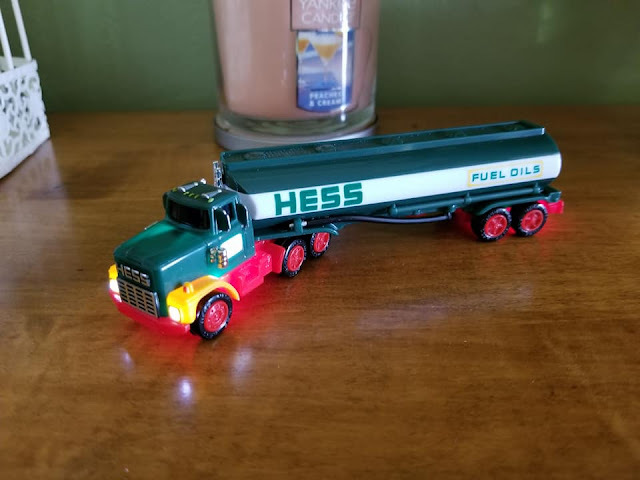 HESS has a fantastic collection of mini trucks, which are small-scale replicas of their previously released Holiday toys – a great way for fans to expand their collection. 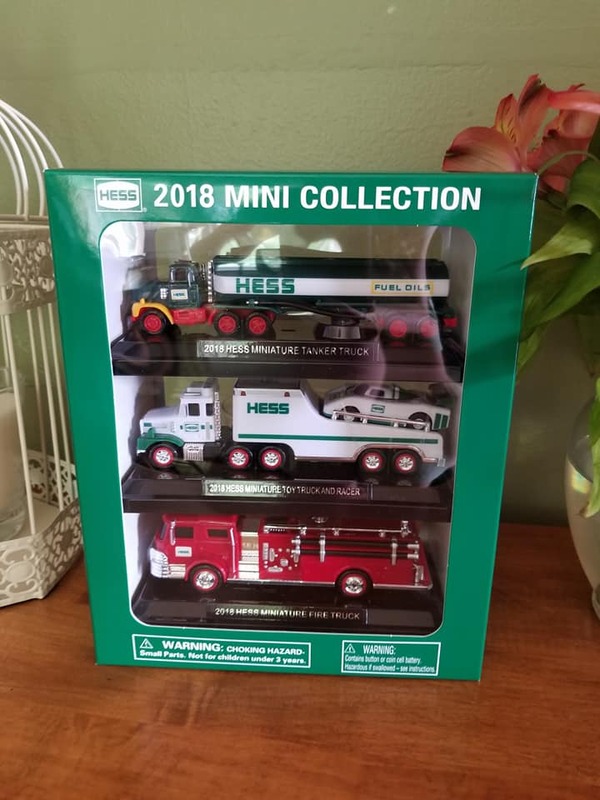 The 2018 HESS Mini Collection is finally here, and we couldn't wait to check out the trucks! The 2018 Mini Collection contains three trucks. Each one comes with a display plate and locks into place with a simple twist on the underside of the base plate. The name of each truck is shown on the base plate. 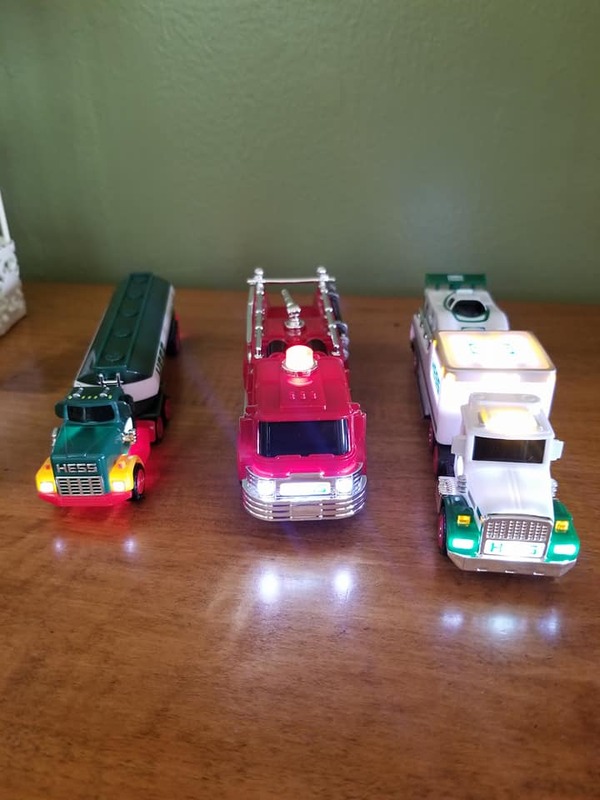 Each truck lights up, which makes them even more fun! Batteries are already included in the trucks, and there is an on/off switch at the bottom of each one. Each and every truck is so beautifully detailed. My kids couldn't wait to get their hands on the trucks and give them a whirl. My son went crazy for the Truck & Racer, while Baby S couldn't wait to check out the Firetruck & Tanker Truck. B loves the 2018 Mini Truck & Racer! The Mini Truck & Racer are really cool. The race car pulls back and speeds off, so it's double the fun! B loves loading the race car onto the back of the truck and hauling the car off to the next big race. Baby S loves the Firetruck & Tanker truck! Baby S is really just discovering trucks. 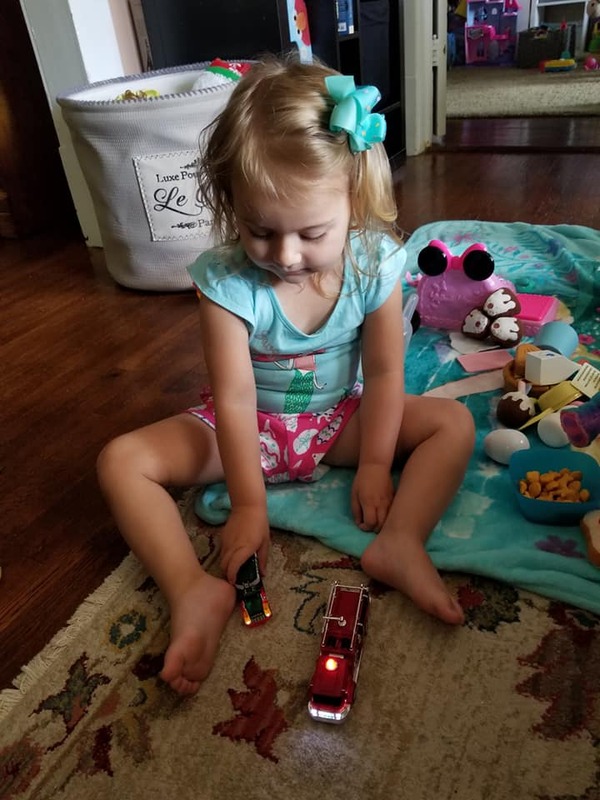 She really loves to see the big trucks when we're on the Interstate, so having these mini trucks at home has put a big smile on her sweet face. She can easily turn the lights on the trucks off and on, and she loves to push them around the living room. June 1st - The Mini Collection: Brought back by popular demand (as the 2017 mini collection sold out in just two weeks), Hess Toy Truck will release a collection of three previously unreleased miniature toy truck replicas. October 1st - A Special Collector's Edition Toy Truck: This special release created for the company's 85th anniversary, will be offered in the most limited quantity ever, in Hess Toy Truck history. 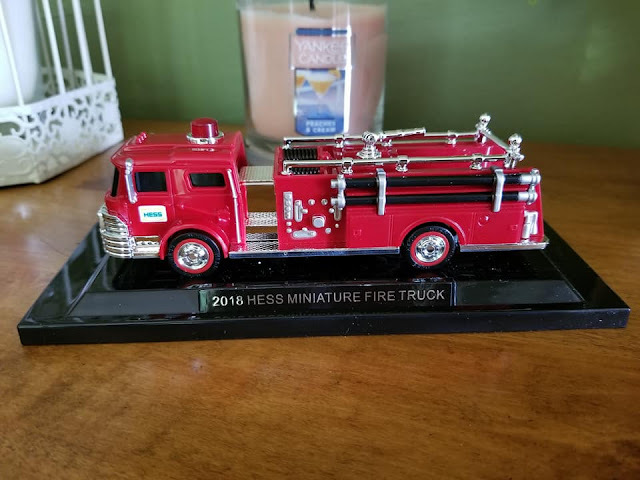 The 2018 Hess Toy Truck Mini Collection makes a wonderful gift! 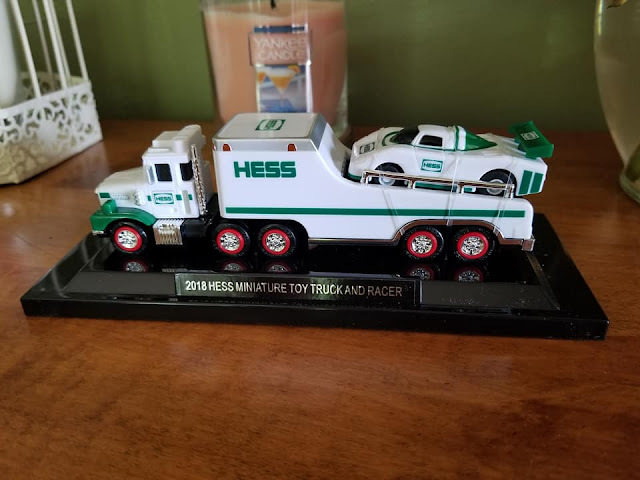 Our very first nephew is due to make his entrance into the world in just a couple of weeks, and I was thinking about what a cool gift and tradition it would be to give him the annual Hess Mini Toy Truck collections as he grows up. 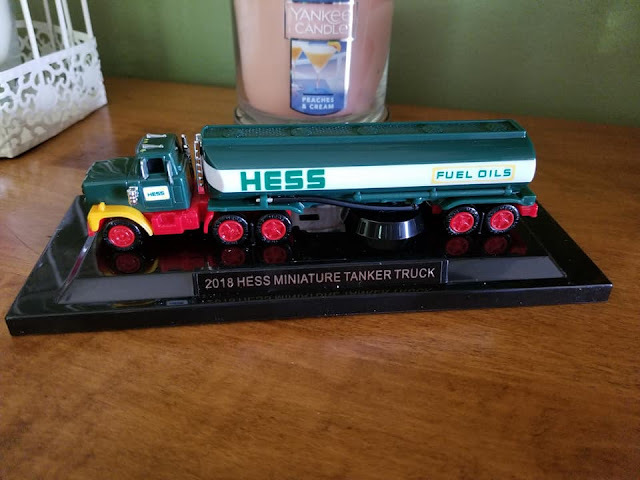 Any Hess Toy Truck collector will absolutely want to add the 2018 Mini Toy Truck Collection to those they may already own. It also makes a great gift for Father's Day! Each toy truck will be sold exclusively at www.HessToyTruck.com, and for you social media savvy fans, clues for the designs can be found on the Hess Toy Truck Facebook, Twitter and Instagram pages - so keep an eye out for more exciting details to come! 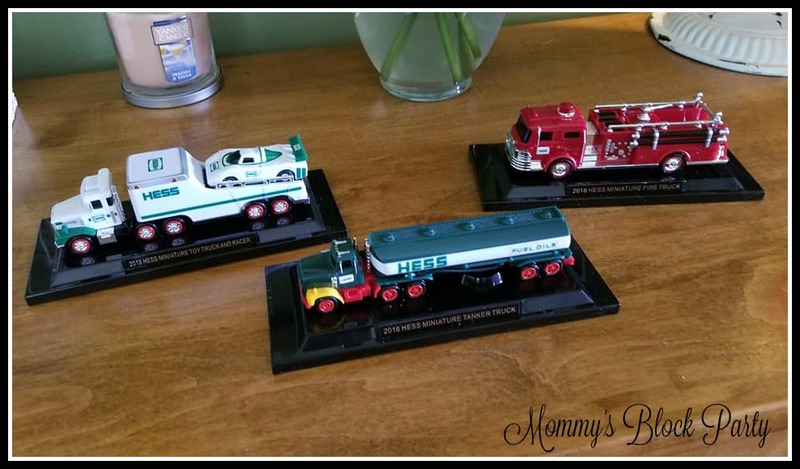 Special thanks to Hess Toy Truck for allowing us to share about their exciting 2018 Mini Collection! 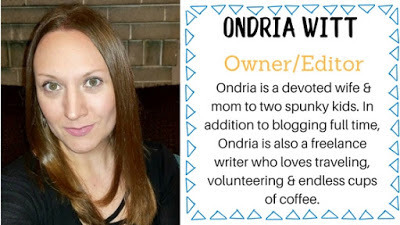 Look for it in our 2018 Summer Fun Guide! Who would you love to surprise with a set of 2018 Hess Toy Truck Minis?